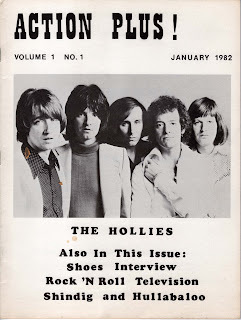 Twenty three of the magazine’s 36 pages were devoted to The Hollies, and Hippensteel offered an extensive history of the band, from the early performances of Graham Nash and Allan Clarke as The Two Teens to the plans for a reunion album with Nash in 1983. 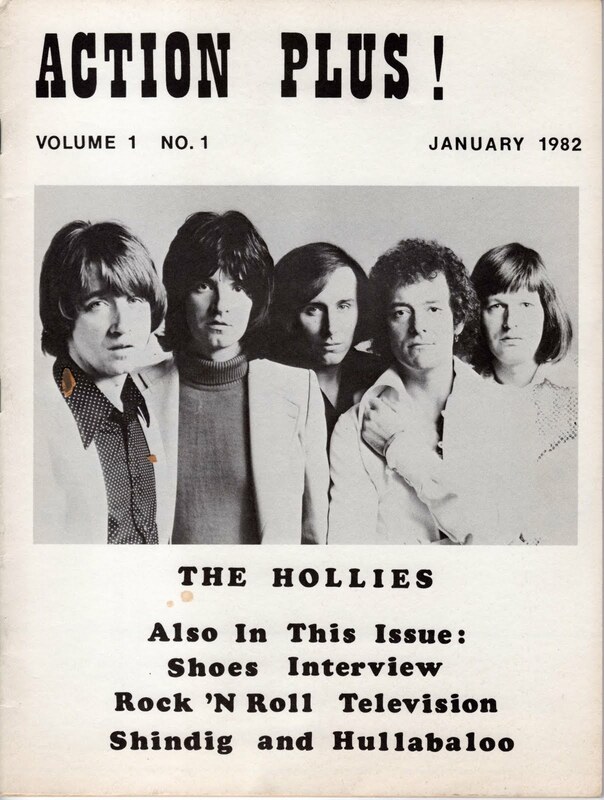 He wisely preferred their more energetic material to the ballads, and dismissed A Crazy Steal as The Hollies’ weakest album of the 70s, noting “too much emphasis was placed on the softer side of the group’s sound, resulting in a rather tedious and overproduced outing.” Overall, Hippensteel was an obvious fan and his insights into The Hollies’ career were consistently interesting. Action Plus! also had an article comparing Shindig! and Hullabaloo that included a show by show listing for each program over two seasons. It was amazing how many of the biggest acts of the 1960s were among the guests. WUEV FM radio personality Mike Zikmund contributed an interesting interview with drummer Skip Meyer from Zion, Illinois power pop legends, Shoes that was conducted shortly after the band released its impressive second effort, Tongue Twister. Meyer conceded that some musicians resented Shoes for getting signed to a major label without having played extensively on the club scene, but he maintained that he, Jeff Murphy, John Murphy, and Gary Klebe had paid their dues in a different way, through all the hours they spent in the studio. 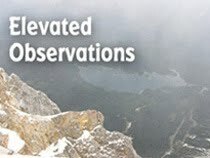 The only ad in Action Plus! was on the back cover, and it promoted a Hollies concert at the Wembley Conference Centre in England. I have a suspicion Hippensteel simply put it there because he thought it looked cool, and the band didn’t pay for it.